This was taken a few years back, but not much will have changed! 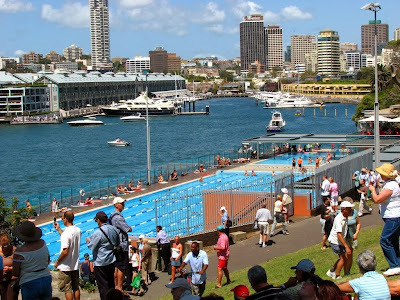 The swimming pool is the Andrew (Boy) Charlton pool, set on the shores of Woolloomooloo Bay near the Royal Botanic Gardens. 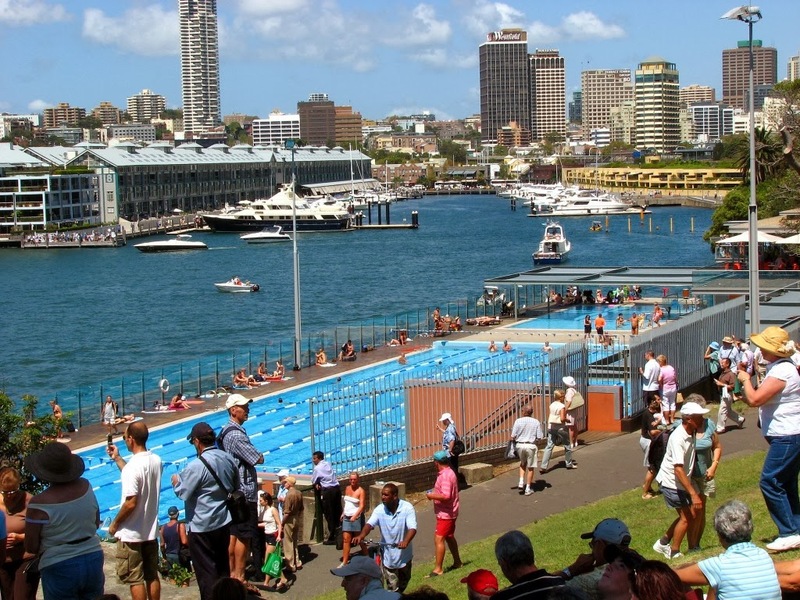 The pool was the venue for the sporting triumphs of Australian swimming legend Andrew Boy Charlton in the 1920's and is believed to be the birthplace of the Australian Crawl or freestyle swimming stroke.